Anthropologists have acted as experts and educators on the nature and ways of life of people worldwide, working to understand the human condition in broad comparative perspective. As a discipline, anthropology has often advocated — and even defended — the cultural integrity, authenticity, and autonomy of societies across the globe. 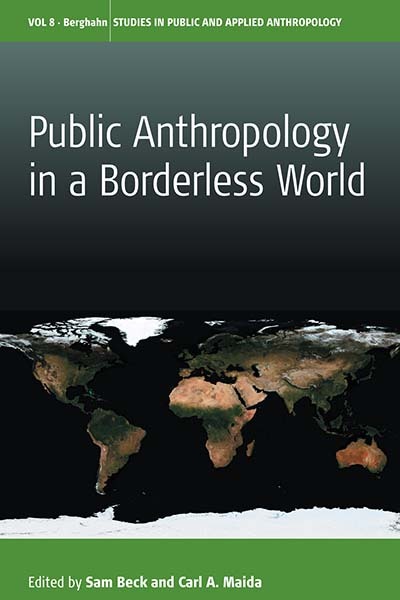 Public anthropology today carries out the discipline’s original purpose, grounding theories in lived experience and placing empirical knowledge in deeper historical and comparative frameworks. This is a vitally important kind of anthropology that has the goal of improving the modern human condition by actively engaging with people to make changes through research, education, and political action. Sam Beck is Senior Lecturer in the College of Human Ecology and Director of the Urban Semester Program at Cornell University. His publications include Manny Almeida’s Ringside Lounge: The Cape Verdean Struggle for Their Neighborhood (1992) and Toward Engaged Anthropology (2013, ed. with Carl A. Maida). Carl A. Maida is Professor in the Institute of the Environment and Sustainability and Director of the Pre-College Science Education Program at the University of California, Los Angeles. His publications include Sustainability and Communities of Place (2007) and Pathways through Crisis: Urban Risk and Public Culture (2008).